First of all, keeping track of your credit situation can save you money in the long run. Your credit history is used to determine whether or not you are approved for loans. When you are approved, your credit score determines what rate you have. If you have a good score, you have a lower interest rate, meaning that you could save thousands of dollars over the life of the loan. It’s not just lenders that look at your credit history, though. In some cases, your insurance rates might be set by your credit history. In the United States, some insurers pull your credit score before deciding how much you will pay in premiums. If you have a low credit score, you might pay higher insurance premiums. Over your lifetime, the fact that you aren’t on top of your credit situation could cost you hundreds of dollars in premiums. Monitor your credit and strive to improve it. Better credit can mean that you save money over the long haul. Some of the first indications that your identity has been stolen show up on your credit report. If you check your credit report regularly, you can see whether or not unusual accounts have been opened in your name. If there is a new account that you didn’t open, there’s a good chance that someone is using your identity — and that could be costly for you in the long run. The earlier you detect identity fraud, the sooner you can begin counteracting its effects. You might need to report the crime, and perhaps even place a freeze on your credit file. This can be an indication that it’s time to batten down the hatches. Your vigilance can mean that you head off even worse problems before they start. You have the opportunity to prevent even bigger frauds from happening if you catch identity theft early on. Plus, you will be less likely to be liable for fraudulent purchases if you catch it early and take immediate steps to rectify the problem. In some cases, your credit history makes a difference in the kind of access you have to various products and services. Some landlords prefer to run a credit check on potential tenants. If you want to live in a specific area, you might need to pass muster on the credit check. 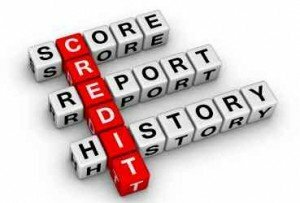 A poor credit history can mean that you don’t get to move into the residence you prefer. Another reality is that many telecom services providers also check your credit before you sign up. You might have to pay a security deposit, or you might be restricted on certain types of plans if your credit isn’t up to snuff. Plus, only those with the best credit are offered the best credit card deals. If you want the best rewards cards and if you want access to the best perks, you need good credit. A good credit history can mean access to things that others don’t normally enjoy. While employers aren’t supposed to check your credit score (at least here in the United States), they might be able to look at your credit report. If your credit report looks suspicious, you might be passed over for some positions. Applicants who might appear vulnerable to bribes because of their credit histories might be passed over. If you don’t look reliable on your credit report, some employers might decide that won’t be reliable at your job. You can check your credit report for free, and there are web sites that offer general information about your credit situation. There’s no reason not to stay on top of your credit so that you have access to the best deals and the best prices on just about everything.